to domestic violence and child abuse. 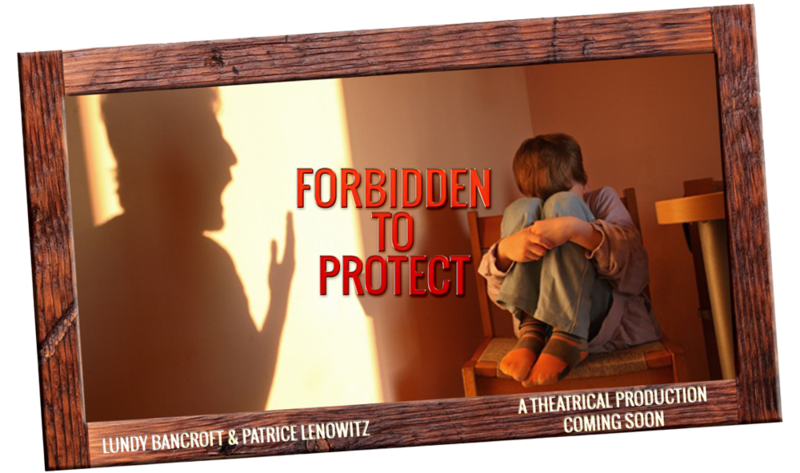 FORBIDDEN TO PROTECT is a theatrical production co-authored by Lundy Bancroft and Patrice Lenowitz that raises questions about legal responses to domestic violence and child abuse. Through extensive victim interviews, FORBIDDEN TO PROTECT tells the true stories of children who have been required by a family court judge to go into dangerous circumstances where they have been repeatedly harmed by their abusive father. The play demonstrates how most contested custody cases are actually domestic violence or child abuse cases in which abusers have been allowed to use the courts to regain control over their victims and bankrupt the safe protective mom. In all of these stories, judges, lawyers, and evaluators have chosen to ignore extensive evidence that the children and mothers were telling the truth, putting the child in harm’s way, and leaving mothers FORBIDDEN TO PROTECT her children and herself. Co-sponsored by the Center for Peace Justice and Reconciliation at Bergen Community College and Produced by Jim Bumgardner of Bergen Stages, FORBIDDEN TO PROTECT will open to audiences in 2017. If you would be interested in producing FORBIDDEN TO PROTECT in your area, please send an e-mail request to: patrice@nurturedparent.org, or call: (201) 849-3000.